I am extremely sunburned as I type this. My bra straps feel like they are going to melt through my shoulders. My face feels like leather. Have I painted an attractive enough picture for you yet? I'm not sure there's anything more uncomfortable than being this red-faced. Next time, I'll use more sunscreen. 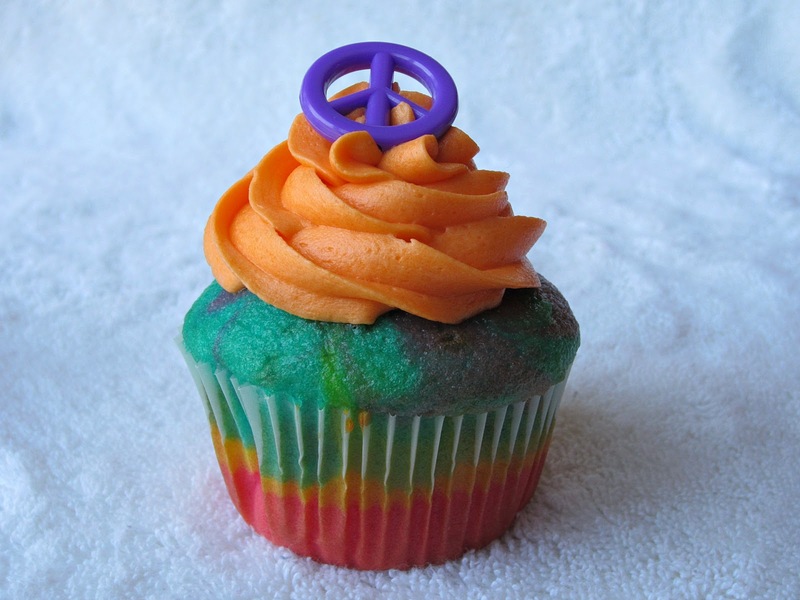 One of my favorite "hippie" pals had a birthday on Sunday and I wanted the cupcake to reflect his free and fun spirit. I decided to play with my batter and give it a tie dye look. Everyone needs a little color in their life. 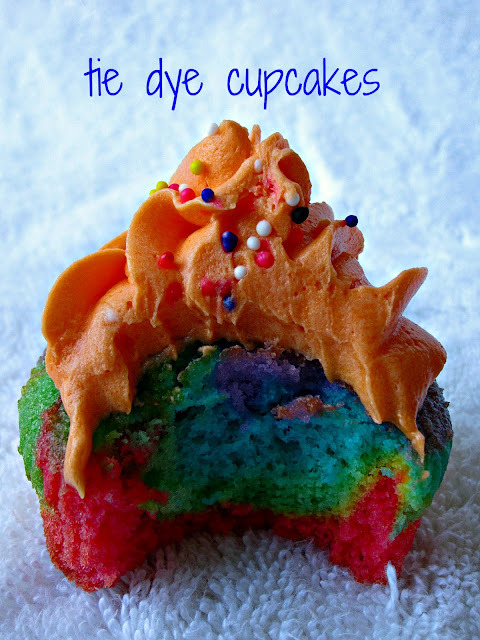 I swear, if my friend Michael was a cupcake, he may have looked just like this. I went with a basic vanilla cupcake and topped it with a vanilla buttercream, although you could really use any flavor you like. The process is pretty simple, just a tad time consuming, but the end result is pretty rad. Preettttyyyy grooooovy if you ask me! 1. Start by whipping up your favorite vanilla cupcake batter. I used this one. If you're short on time, you can always use a boxed cake mix, although I guarantee you they will taste better from scratch! 2. Have 1 packet of assorted food colorings or gels on hand. I used purple, green, red, blue and yellow for my batter colors. 3. 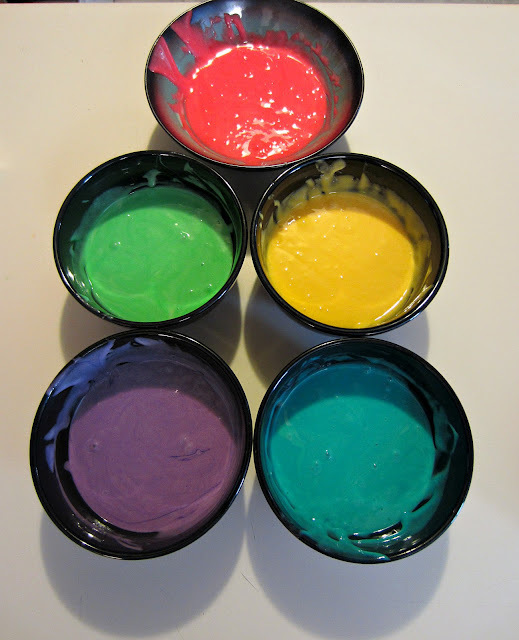 Once your batter is mixed up, separate the batters into bowls so you can mix each color you'd like to use. For mine, I ended up with 5 bowls/colors. 4. Tint each bowl with a few drops of food coloring or gel. I used anywhere from 5 to 8 drops of food coloring to get my batter the right shade. Don't over mix your batter in this step, because you’ll develop the gluten in the flour and be left with a very tough, bread-like cupcake.Try and mix with minimal stirs. 5. 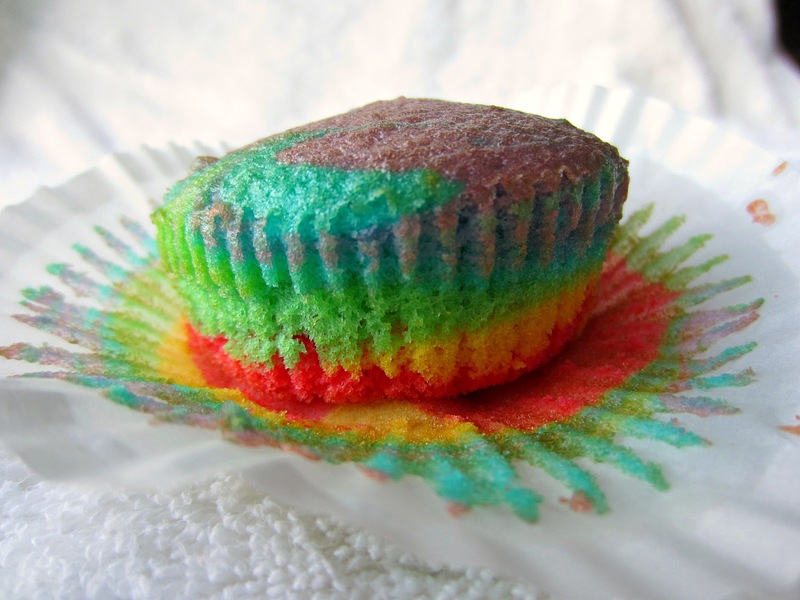 Layer spoonfuls of each colored batter into the cupcake liners until they are 3/4 full. When all the liners are filled, use a toothpick to swirl the batter a few times. 5. 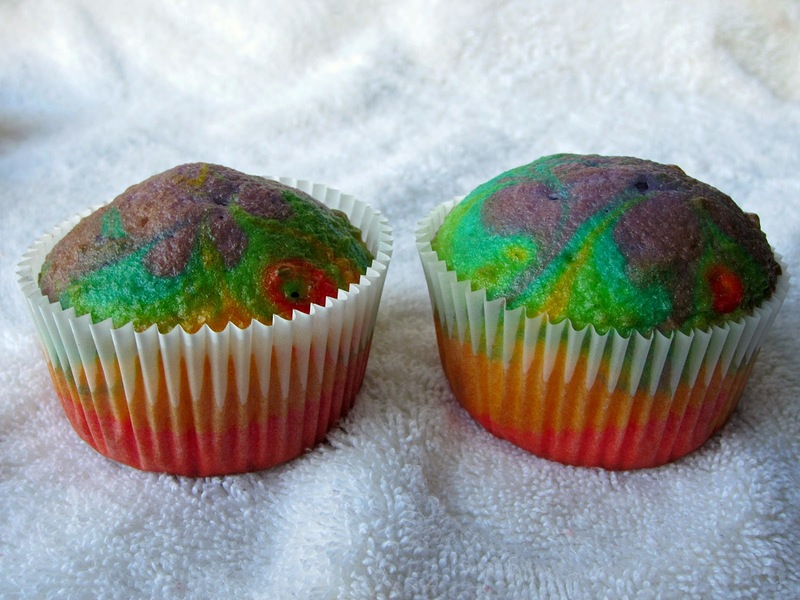 Bake your cupcakes according to the recipe you're using. 6. Cool cupcakes completely before frosting. I used this vanilla buttercream recipe and tinted my frosting orange with food gel. 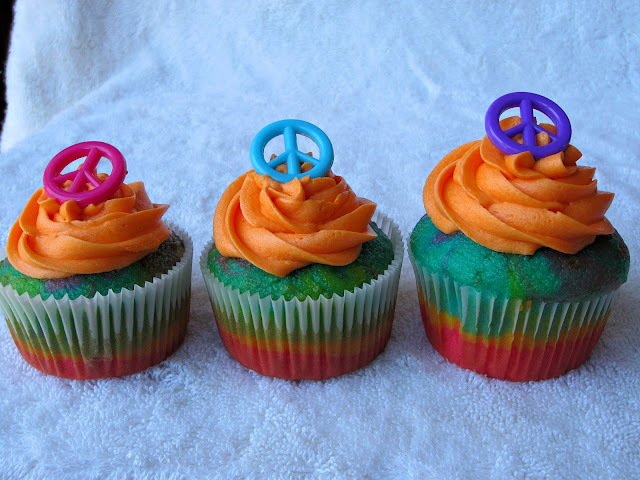 I iced the cupcakes and then garnished with rainbow sprinkles and peace signs. The whole gang really loved the way they turned out. I'm sure these would dazzle at any kid's birthday party as well. Have any fun, bright recipes I should know about? Hit me!